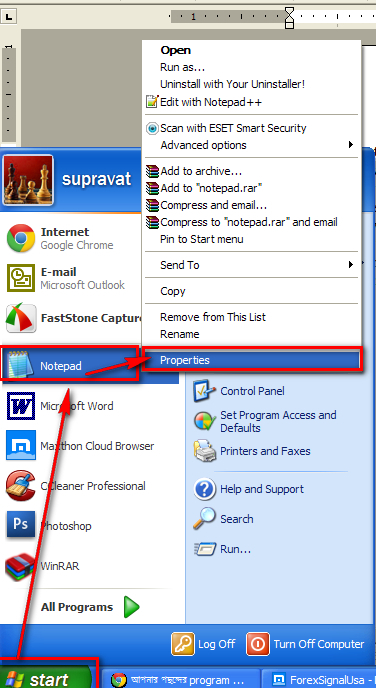 It Bangla keyboard shortcuts tips and tricks How to open programs using keyboard shortcuts? We are all love to work with keyboard shortcuts. It is very time saving and also effortless. 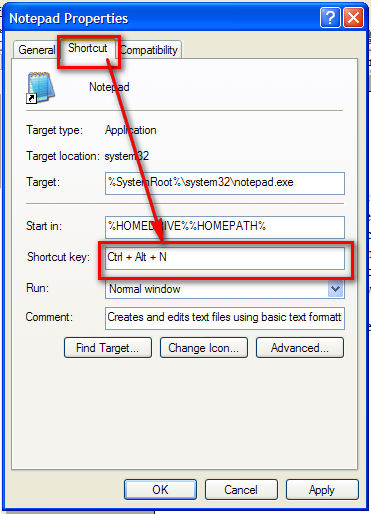 You can easily create a keyboard shortcut of your program. 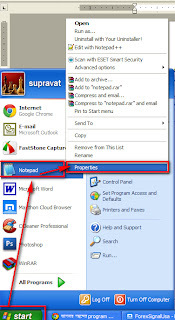 If you create shortcut then no need to keep shortcut on your desktop and your desktop will be beautiful and clean. 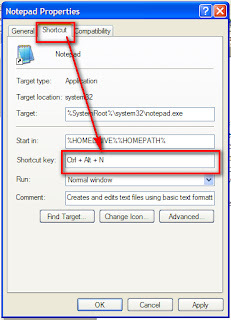 Just hit n button in the shortcut tab it will take [Ctrl+Alt+N] automatically. Your work is done now. Just press ok and save it. See your notepad will be open.